My printer also does not print in black, have to change colour all the time to blue. Why is that? I can print from word document but not from a created picture folder, Printer tells me printer is offline. But it is connected.?? How can I check cartridge ink levels on Windows 8? Solution 1: i think its an epson con,printed 4 pages with new cartridges [epson ones] got the paper jam remark on the screen and the only way to get rid of it was to take all the cartridges out and replace with new ones .the old ones were 90 percent full so i think epson have gone over the top with this new software they have put on the chips it has not got a clue what level the inks at so it throws up there is a paper jam when there is no paper in the dam thing by the way my printer is the sx515w but software may be in other printers as epson want us to spend more and more money , i have sent my printer back as 80 pounds for 4 A4 prints is to expensive at 20 pound a sheet sorry ive only got the paper jam sorted but it may come back at any time. GET RID!!! Solution 1: Had the same problem and nothing would fix it. Dumped it and bought a different brand that was cheaper then a new set of Epson inks even. All problems on this page have been submitted and answered by users. 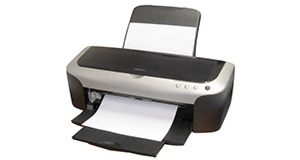 If you have a problem with the Epson DX4000, please submit it below and we'll post it here. Problem: My printer also does not print in black, have to change colour all the time to blue. Why is that? Problem: I can print from word document but not from a created picture folder, Printer tells me printer is offline. But it is connected.?? Problem: How can I check cartridge ink levels on Windows 8?